When you enter Rebel NYC you walk into over 13,000 square feet of unforgettable pulse-pumping music, high-tech strobe lights, and three levels of dance floors. Rebel NYC is New York’s newest nightclub featuring upcoming-Indie bands as well as major labels putting on intimate performances in their state of the art performance hall. 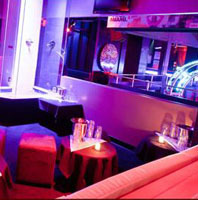 The nightclub is divided into five distinct rooms each with its own atmosphere, fully stocked bar, and DJ. 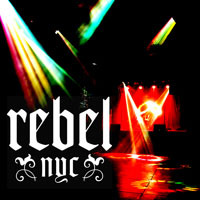 Whether you are looking for a night out to go dancing or a more relaxed experience, Rebel NYC is right for you. Come check out each room and see which you like best! Check out this nightclub in NY! As you enter on the top floor of Tenjune you will find yourself descending the main stairway to a lounge full of velvet seats and marble walls. As you continue down the stairs you will find yourself standing on the horseshoe-shaped floor which is the main dance floor. Raised platforms and velvet seating add to the atmosphere of Tenjune. The DJ is strategically placed so everyone can feel the energy in the club regardless of what floor you are on. Images and videos are projected onto four screens placed throughout the club. There is kitchen located on the top floor that is used for private events. Tenjune can turn into a three floor private venue when needed. With a great atmosphere like this, you can't have anything but a good time. New York's first eco-friendly bar, Greenhouse is a bi-level 6,000 square foot night club and lounge. The club was built by all recycled or recyclable materials. All of the furniture inside of the club is eco-friendly as well. Both floors in the club have their own sound system as well as multiple VIP lounges. Greenhouse is designed to give you the ultimate "green" experience. Food is served throughout the club. There are also live band performances as well as a backstage section for the performers. This nightclub will give you a unique experience cannot be missed. The Kiss and Fly night club brings a unique atmosphere to New York. Combining Roman accents with modern lighting and design, Kiss and Fly is unlike any other night club out there. World class DJs and an unbeatable sound system are featured. 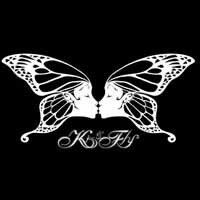 Kiss and Fly begins the night as a lounge playing jazz music and transitions into a night club with strobe lights and loud, up-beat music later at night. If you are looking for a fun and different night club to attend, The Kiss and Fly is that place. 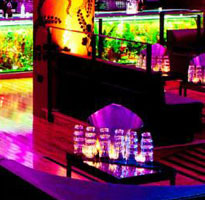 Whether you want a lounge atmosphere or a night club scene, you will find what you want here. Pacha is the premier nightclub in New York. LED and conventional lighting bring life to each room of the club as a video system with moveable screens and projectors float around. 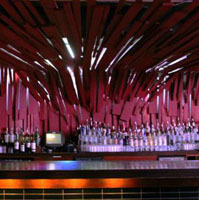 30,000 square feet are divided into four levels which make up Pacha nightclub. Each floor has its own vibe ranging from more intimate lounges to a dance club. Get ready to dance as each floor has its own dance floor and DJ or live band. Host a private event or have a night out on the town with friends. Either way you are sure to have a great time at one of the best nightclub destinations in the world.